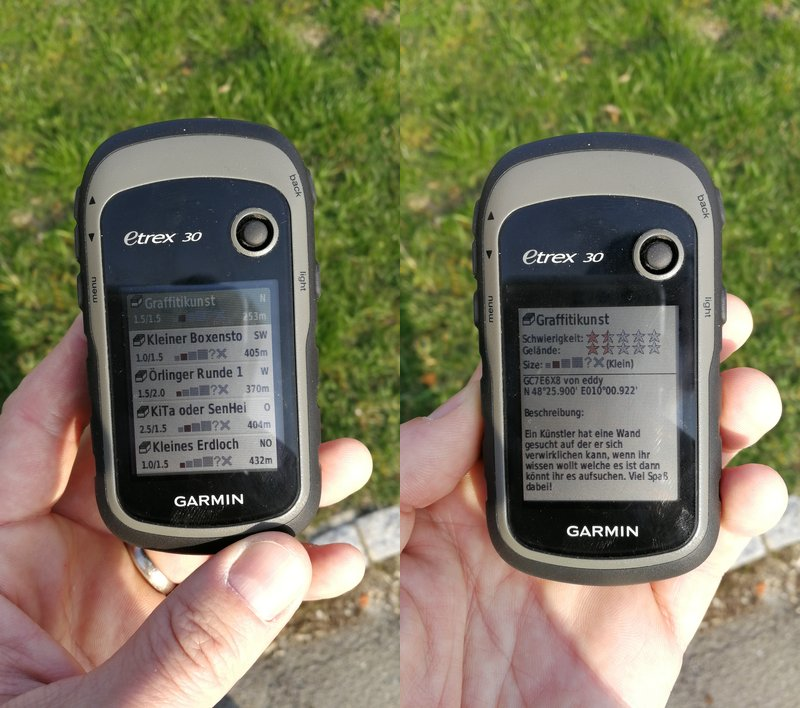 Geocaching was admittedly not very high on my priority list in the last years and so I hunted the odd cache only with the help of my mobile phone and the c:geo app. As I did not log into the web user interface of Geocaching.com it escaped my attention that there were changes somewhere along the way. This makes the special handling described in my own (old) post eTrex 30, QLandkarteGT and Geocaching on GNU/Linux superfluous. This is very nice as the instructions would need to be updated anyhow as the QLandkarteGT project is now dormant and replaced by the QMapShack project. Switching to Debian Buster forces me to relearn my workflows in this new tool, but I am not yet as fluent with it as I was with the old one. Somehow the top level approach of working with tracks feels counter intuitive for my tasks but maybe I just need more practice to get over this. But all in all this new(?) development makes the eTrex much more attractive for hunting caches. The one thing that did not change is the precision of the eTrex device compared to my mobile phone. The former is still superior in this respect.